‘Atrocities in Afghanistan’ now returns 70K results. Authors and returning soldiers are de facto or directly admitting atrocity policies by NATO powers proded by CIA, military officers . Atrocity policies contrary to law are noted as continuing a military culture and cult of abuse in this analysis, which cites best-sellers such as ‘Art of Intelligenece’ and memoirs of the ‘War on Terror’ in West Asia and the growing number of soldiers speaking on condition of anonymity.Is the atrocity the mission? The book passes over this rather matter-of-factly, as if it’s really no big deal…and it is not allowed to color the description of either Custer’s character, or the character of his officers and men. I also recently read a book by a Seal sniper…and he said their orders in the 2003 attack on Iraq were to kill every male between the ages of 16 and 60, armed or not. Basically, this order essentially means kill every male that isn’t obviously a toddler or a feeble old man. Imagine the outrage if say, the Iranians, issued their troops such an order? He didn’t have a problem with it, and I suspect that most Americans wouldn’t either, as long as WE are the ones doing the killing. The CIA, Seals, and other special ops carried out a systematic plan of mass slaughter of boys and men in Iraq and Afghanistan before and during the invasions and annihilations of those nations. The secret snipers were the spearhead of the slaughters. They were ordered off-book to shoot all boys and men who even looked like they might be al-Queda or Taliban, which they obviously interpreted to mean any boy or man who might be able to wield a weapon and fight. These mass murderers are very proud of their gory slaughters and are now publishing books for the masses about their “brave” acts of secret slaughter of unarmed boys and men. All of this has exploded under Obama and he is gung ho for the drone slaughters now being carried out in many nations. 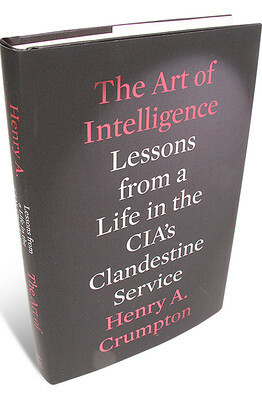 Henry A. Crumpton’s book, The Art of Intelligence, about his part in the slaughter in Afghanistan has just been reviewed in the Wall St. Journal [5/18/12, pg. A-11]. He proudly boasts that the CIA and special ops death squads [probably officially named only black ops units] killed thousands of Afghan boys and men. They really had no evidence their victims were anything but peasants. In the beginning of the annihilation of Afghanistan I wrote about exactly that, based on the anonymous, written accounts of a CIA sniper who was a very close professional friend of a long time friend of mine who was an officer in the Navy. He shot peasants from a great distance so the victims and their families never knew what hit them. He was using a powerful sniper rifle so, as he said, he could see through his scope that when the bullet hit them they exploded as if they were stuffed with dust. The Bush-Obama global terror will live in infamy long after the US has destroyed itself by enraging the world against all Americans. This and the death of democracy and the great global financial crisis will be America’s legacy of terror for all time. At the heart of Mr. Crumpton’s memoir, “The Art of Intelligence,” is an engrossing tale of how a seasoned CIA officer spearheaded the first campaign in America’s war on terror. Under his direction, in the fall of 2001, small teams of CIA operatives and U.S. Special Forces, together with Afghan allies, came to kill thousands of al Qaeda and Taliban combatants and to break their hold on Afghanistan in less than three months. Even though Osama bin Laden slipped away, and the Taliban eventually returned to foment a new insurgency in Afghanistan, this ground-breaking campaign was a success beyond all reasonable expectations. For all its engaging detail, there are few revelations in “The Art of Intelligence.” The overthrow of the Taliban has been chronicled before—by Mr. Crumpton’s fellow CIA officers in other memoirs, such as Gary Berntsen’s “Jawbreaker” (2005) and Gary Schroen’s “First In” (2005), and in works of history such as Doug Stanton’s “Horse Soldiers” (2009). Nevertheless, Mr. Crumpton’s narrative, especially when chronicling the response to the 9/11 attacks, moves like a thriller, presenting a story of ingenuity and courage under fire. Along the way, he casts light on the transformation of the CIA in recent decades. Mr. Crumpton first became interested in CIA service, he tells us, when he was a boy. At age 10 or 11, he wrote a letter to the agency explaining his desire to join it one day. To his surprise, he received a reply thanking him for his interest and encouraging him to apply when he got older. At the time—the mid-1960s—the CIA was at the height of its Cold War glory, waging battles against communism around the world and engaging in paramilitary operations in Southeast Asia. But the ethos that had animated the agency’s founders was shattered by the opposition to the Vietnam War. A significant percentage of the American elite, from whom the CIA had drawn its initial recruits, turned against the war and against the intelligence community. One result of this shift in outlook was the Church Committee hearings of the mid-1970s, which uncovered past CIA assassination plots and other covert activities. A couple of years later, there were severe cutbacks under Jimmy Carter’s CIA director, Stansfield Turner, who was not shy about laying off veteran Cold Warriors. Thus the CIA that the young Mr. Crumpton joined in 1981 was an agency in crisis—and in the midst of a cultural transformation. More and more CIA officers were cut in the mold of Mr. Crumpton himself, a small-town Georgia boy who had graduated from the University of New Mexico, not Harvard or Yale. The agency was partially revived by William Casey, who as Ronald Reagan’s CIA director oversaw a vast covert program to undermine the Soviet Union—most spectacularly in Afghanistan, where the CIA funneled weapons to the mujahedeen. Mr. Crumpton was not involved in these covert actions; in his early days at the agency he was focused on traditional intelligence gathering, mostly in Africa. A crisp style makes his personal recollections from these years compelling, not least when he recounts how he recruited various spies—from repugnant delinquents motivated by greed to idealistic nationalists motivated by ideology. Mr. Crumpton steadily rose into the agency’s senior ranks and returned from overseas in the late 1990s, when the Cold War was over and the agency was searching for a new mission. These were the years when the focus was on economic intelligence and other “soft” subjects. They were also the years when the al Qaeda threat was growing. Mr. Crumpton was soon at the forefront of the effort to respond to this threat. That “absurd” policy did not change when the Bush administration came into office. But it changed with a vengeance after 9/11, when Mr. Crumpton and his fellow operatives were unleashed to take risks that would have been unimaginable before. Under President Obama, the pace of counterterrorist operations has expanded still more, including drone strikes in Pakistan and Yemen. That expansion, in turn, has led to a major institutional change at the CIA. The agency, which had all but gotten out of the paramilitary business after Vietnam, has returned to its old form. In fact, the CIA’s greatest successes in the past decade have come from identifying and killing terrorists; its biggest failures have involved assessing non-terrorist targets, such as Saddam Hussein’s Iraq. Mr. Crumpton’s memoir is a compelling account of the changes that have allowed the CIA to fight the war on terror with unprecedented resources and success. There is no doubt that the CIA will in the future have to devote more resources to intelligence gathering. The agency should apply to its traditional operations the same ruthless, results-oriented ethos that Mr. Crumpton and his colleagues applied to fighting al Qaeda. the CIA and as a member of the National Security Council. A version of this article appeared May 18, 2012, on page A11 in the U.S. edition of The Wall Street Journal, with the headline: The Agency Goes to War. Steve Nelson: More Atrocities in Afghanistan – Why Are We Surprised? May 3, 2012 – More Atrocities in Afghanistan – Why Are We Surprised? – The Huffington Post. Apr 22, 2012 – The Nation: I remember once I had a meeting with Hamza Khan, an old Afghan refugee, residing somewhere at a refugee camp in Peshawar. Apr 3, 2012 – Interview with Gordon Duff, senior editor of Veterans Today. Jan 21, 2012 – A video showing US marines urinating on Afghans they had killed is sadly not surprising. May 6, 2011 – Dave Lindorff is an investigative reporter based in Philadelphia. This article first appeared on uruknet.info. Oct 26, 2011 – US Army Staff Sergeant Calvin Gibbs is accused of three counts of murder. Mar 28, 2012 – The only way to end the ongoing commission of atrocities in Afghanistan is a complete withdrawal of all NATO forces from the region. Syria “atrocities” Committed by Us/nato Al-qaeda Sponsored Terrorists! … by propagandists of all sides, the report of the atrocities in afghanistan is an eyewitness account and also documents US efforts to supress it.